I have no idea who invented food coloring, but I’d like to kiss them. 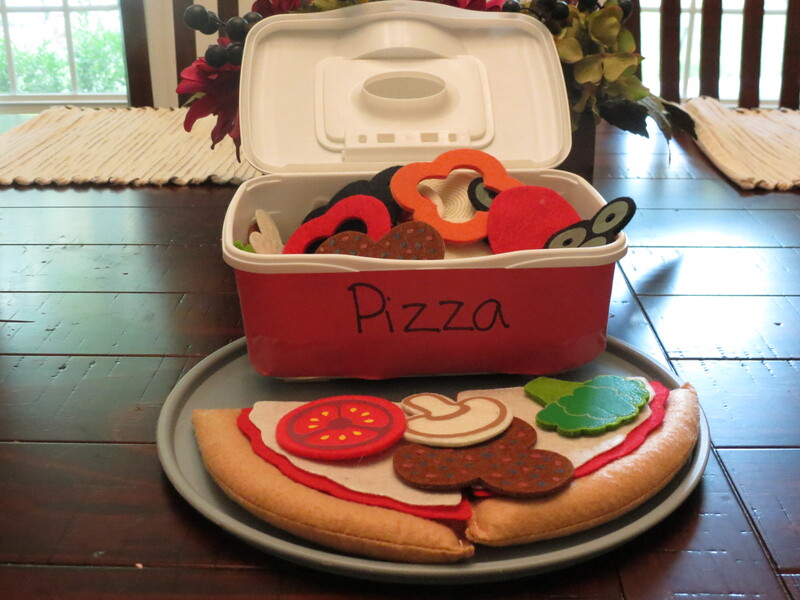 If there’s one item you should have in your arsenal of toddler entertaining it’s this. You could literally drop some food coloring into a cup of water and see your children’s eyes light up. 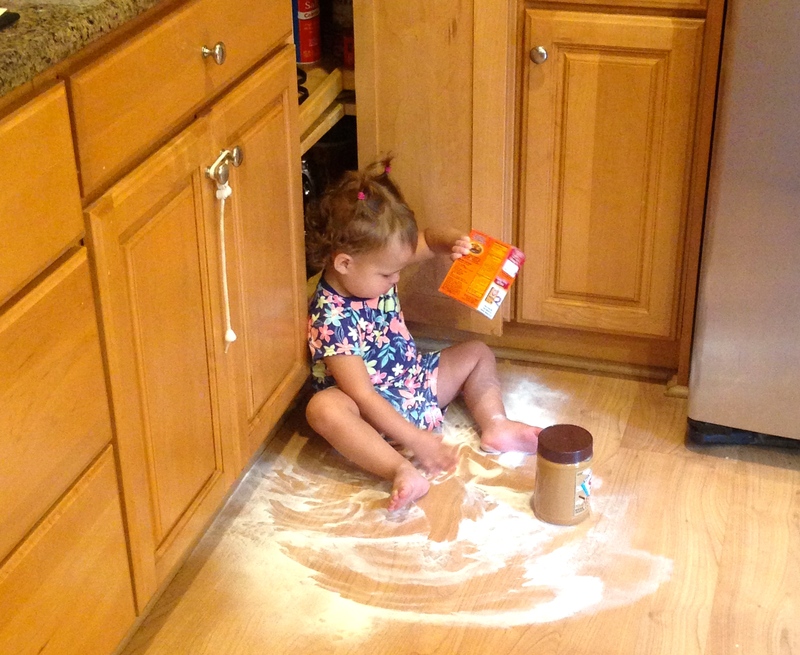 Does this count as sensory play? Instead of tossing the whole box of baking soda in the trash, I put it in a baking dish for Layla to play with. 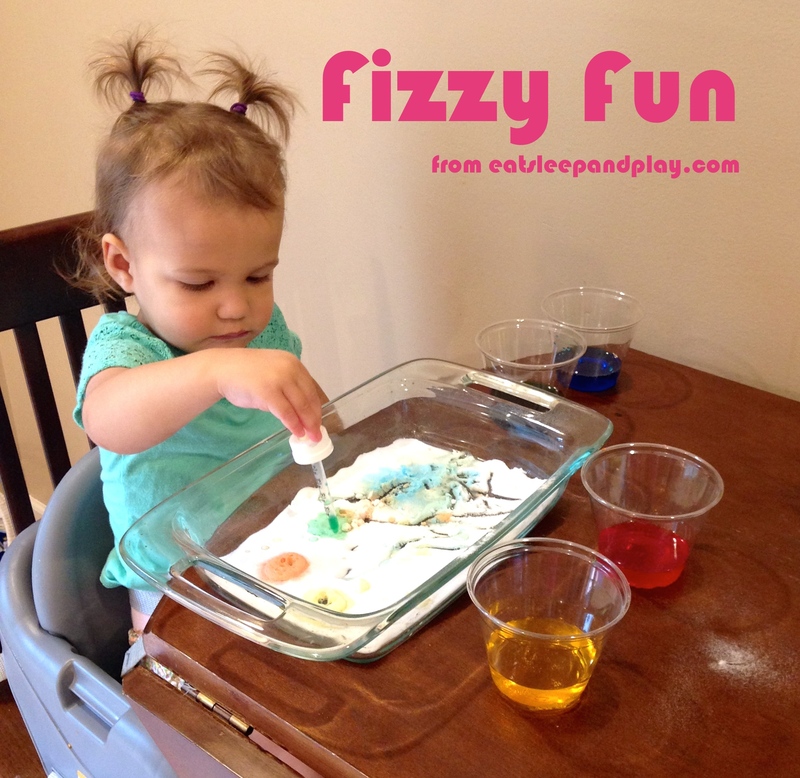 To up the fun factor we added drops of vinegar with a little food coloring in it, and let the fizzy fun begin! We mainly used this as an art project (making designs with the colors and than also using the dropper to draw in the baking soda), but this activity could be used to discuss color, texture, reactions, 5 senses etc. I’m willing to bet you have all of these ingredients at home, so give it a try! Pour your baking soda into a pan or container of any size (make sure it has room to the fizz without overflowing onto your table!). Mix vinegar with various food colors in separate cups. Have kids use a medicine dropper (Layla needed a bit of help with this part) to drop the colors into the baking soda. Watch the baking soda fizz and change color! This activity can span a variety of ages (let’s face it, I even get a kick out of this reaction still). For older children have them drop colors over one another and see what color combinations create a different color. I agree. This is the most entertaining activity I have found for my almost 4 year old. We have made fizzy apples, fizzy “apple pie”, most recently a volcano for our dino-rama, etc. Good times!